Around 48,000 students are still waiting for their grant applications to be processed. Ruairí Quinn has said the delay is “not satisfactory”. AN OIREACHTAS COMMITTEE is set to question representatives of the new grant-awarding body for third-level students over the major backlog in the system. Around 48,000 students were still waiting for their grant applications to be processed as of last Thursday. Just 18,000 out of 66,000 applications have been completed so far. Speaking on RTÉ Radio One’s Morning Ireland programme this morning, Minister for Education Ruairí Quinn said the delay was “not satisfactory”. Representatives from Student Universal Support Ireland (SUSI), the body which was set up earlier this year to replace local authorities and VECs as the single third-level grant-awarding authority in the country, will be questioned by the Oireachtas committee on education about the problems and what exactly is being done to clear the backlog. “Our committee is concerned at the considerable strain on third level students and their families while they wait for a decision on their application for a grant, as well as for the funding to come through for succcessful applications,” said committee chair Joanna Tuffy. The Labour TD said mistakes made by applicants could be forming part of the delay but was not the core of the delay. The Joint Committee on Education and Social Protection will meet from 11.30am in Leinster House this morning and can be watched online on the Oireachtas website. 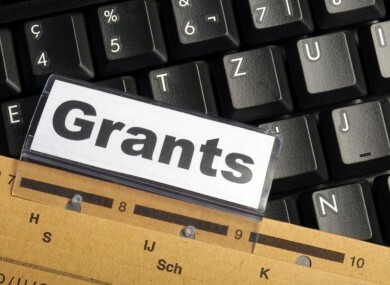 Email “Committee to probe giant backlog in student grant applications”. Feedback on “Committee to probe giant backlog in student grant applications”.